It all started with the idea of a place dedicated to Whisky. 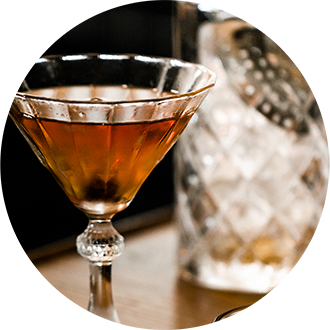 In addition to its over 120 Whiskies from around the world for you to enjoy and maybe discover, why not be tempted by an Old Fashioned, a Vesper Martini or a cocktail blended just for you, based on what you love? Why not savour a cup of coffee with a freshly baked pie in the afternoon? The food at Salon Beyrouth reflects our passionate commitment to fresh, local ingredients. Dishes are inspired by our travels. The menu includes all-time favorites and changes according to the seasons. On Sundays, our Brunch buffet could very well become your weekly thing. 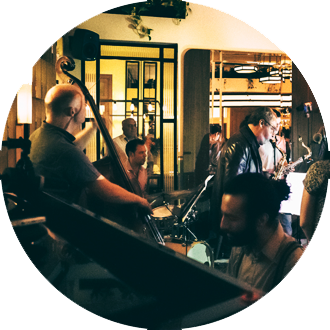 Live Jazz, Blues and Music that transports your senses. At Salon Beyrouth we want you to come and have fun, enjoy yourself, be happy. Just because it’s Tuesday or maybe it’s your mother in law’s birthday – we will show you a good time. Salon Beyrouth is the mirror of a city full of contrasts, where cultures collide to create that unique atmosphere. 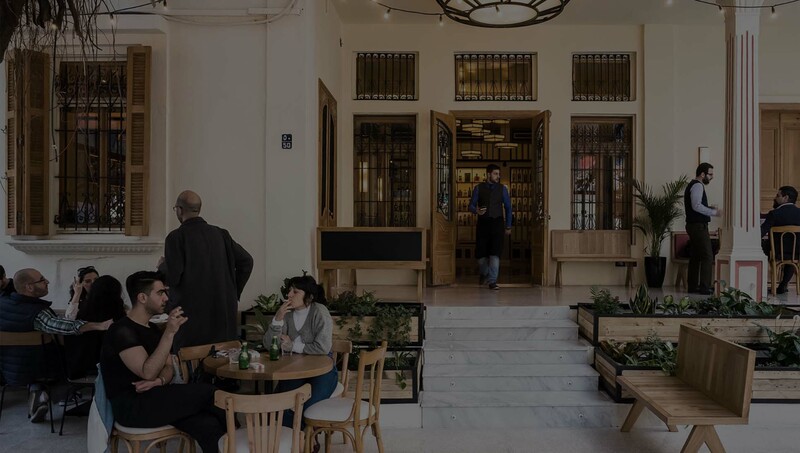 A haven amidst Beirut’s bustling energy with good vibes and attention to detail, it’s the perfect place to meet, have a drink or enjoy a great meal. Pull up a seat at the bar, lounge alfresco in the garden, share a table in the dining room with your friends. We recommend you reserve your table for concerts. Salon Beyrouth has it all. A refined interior reminiscent of the roaring twenties, a fantastic bar team and dishes that beg to be shared. If you want your event to be memorable you have come to the right place. Let us help you organize your celebrations, your product launches and your corporate events. You will love us. Our lunch specials are inspired by Lebanese home cooked dishes as well as cuisines from around the world. Our menu includes Mediterranean, all-time favorites and changes according to the seasons. Walk-ins are welcome – we will always do our best to accommodate you and your guests. Please indicate the time of reservation, the number of guests, and any additional seating preferences.